In an engaging and personal talk — with cameo appearances from his grandmother and Rosa Parks — human rights lawyer Bryan Stevenson shares some hard truths about America’s justice system, starting with a massive imbalance along racial lines: a third of the country’s black male population has been incarcerated at some point in their lives. These issues, which are wrapped up in America’s unexamined history, are rarely talked about with this level of candor, insight and persuasiveness. Watch this TED Talk below. Our biases can be dangerous, even deadly — as we’ve seen in the cases of Michael Brown in Ferguson, Missouri, and Eric Garner, in Staten Island, New York. Diversity advocate Vernā Myers looks closely at some of the subconscious attitudes we hold toward out-groups. She makes a plea to all people: Acknowledge your biases. Then move toward, not away from, the groups that make you uncomfortable. In a funny, impassioned, important talk, she shows us how. Watch this TED Talk below. As kids, we all get advice from parents and teachers that seems strange, even confusing. This was crystallized one night for a young Clint Smith, who was playing with water guns in a dark parking lot with his white friends. In a heartfelt piece, the poet paints the scene of his father’s furious and fearful response. Watch this TED Talk below. Ten days after 9/11, a shocking attack at a Texas mini-mart shattered the lives of two men: the victim and the attacker. In this stunning talk, Anand Giridharadas, author of “The True American,” tells the story of what happened next. It’s a parable about the two paths an American life can take, and a powerful call for reconciliation. Watch this TED Talk below. As America becomes more and more multicultural, Rich Benjamin noticed a phenomenon: Some communities were actually getting less diverse. So he got out a map, found the whitest towns in the USA — and moved in. In this funny, honest, human talk, he shares what he learned as a black man in Whitopia. Watch this TED Talk below. 6. Nate Silver: Does racism affect how you vote? Nate Silver has data that answers big questions about race in politics. For instance, in the 2008 presidential race, did Obama’s skin color actually keep him from getting votes in some parts of the country? Stats and myths collide in this fascinating talk that ends with a remarkable insight. Watch this TED Talk below. Jedidah Isler dreamt of becoming an astrophysicist since she was a young girl, but the odds were against her: At that time, only 18 black women in the United States had ever earned a PhD in a physics-related discipline. In this personal talk, she shares the story of how she became the first black woman to earn a PhD in astrophysics from Yale — and her deep belief in the value of diversity to science and other STEM fields. “Do not think for one minute that because you are who you are, you cannot be who you imagine yourself to be,” she says. “Hold fast to those dreams and let them carry you into a world you can’t even imagine.” Watch this TED Talk below. In the United States, two institutions guide teenagers on the journey to adulthood: college and prison. Sociologist Alice Goffman spent six years in a troubled Philadelphia neighborhood and saw first-hand how teenagers of African-American and Latino backgrounds are funneled down the path to prison — sometimes starting with relatively minor infractions. In an impassioned talk she asks, “Why are we offering only handcuffs and jail time?” Watch this TED Talk below. The subject of race can be very touchy. As finance executive Mellody Hobson says, it’s a “conversational third rail.” But, she says, that’s exactly why we need to start talking about it. In this engaging, persuasive talk, Hobson makes the case that speaking openly about race — and particularly about diversity in hiring — makes for better businesses and a better society. Watch this TED Talk below. Angélica Dass’s photography challenges how we think about skin color and ethnic identity. 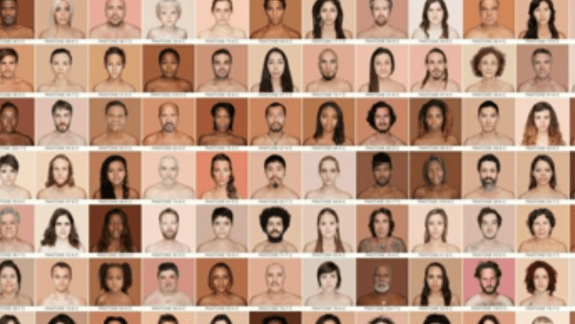 In this personal talk, hear about the inspiration behind her portrait project, Humanæ, and her pursuit to document humanity’s true colors rather than the untrue white, red, black and yellow associated with race. Watch this TED Talk below.